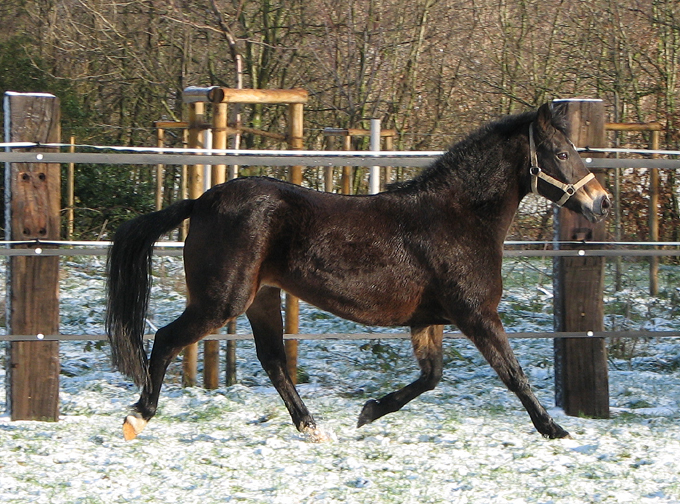 We purchased Mona as a brood mare from Sabine Meiners of the Hilkens Stud in Germany. 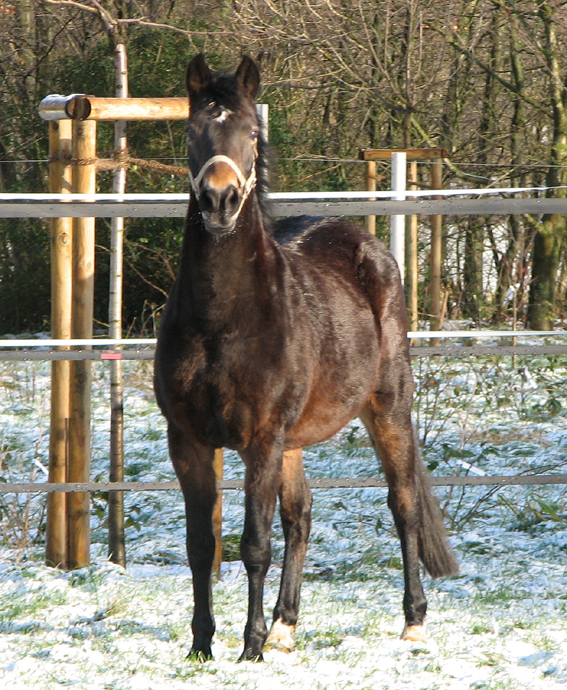 We have now scanned her in foal to Casino Royale the 3 year old stallion winner of the Bundeschampionate 2008 and mum and baby have arrived safely in England. 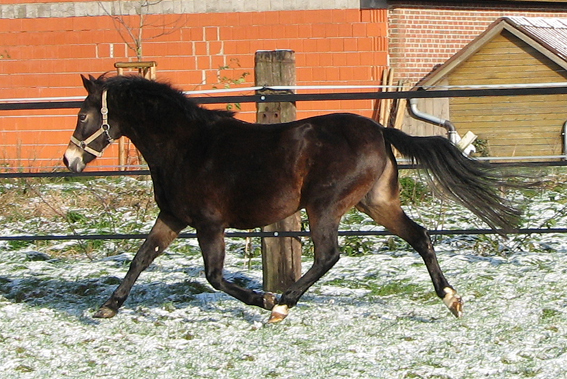 She was awarded a Silver Medal in 1992 and 1993 from the Westfalisches Pferdestammbuch and then the Rheinisches Pferdestammbuch of Germany. 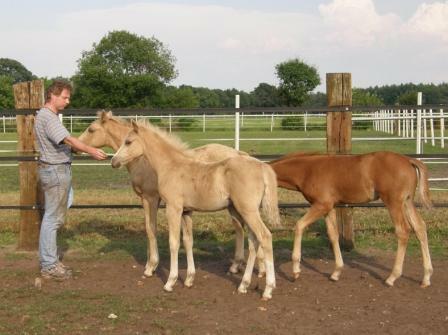 She has been inspected by the Rheinischen Pferdestammbuches and entered in the Hauptstutbuch and also by the Pferdestammbuches Weser-Ems and entered in the Stutbuch I. She is now Graded into the Head Stud Book of the SPSS in Great Britain. 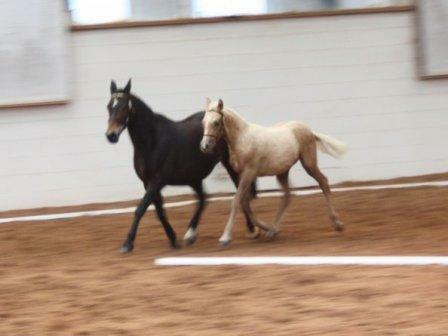 She will be used as a brood mare with us and hopefully produce us some more fabulous foals. 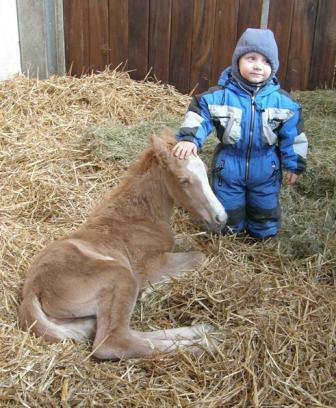 Her 2008 foal Hilkens Mighty Gold has proved herself already in the ring and her 2009 colt foal Bathleyhills Classique Monet we intend to keep entire and use as a future stallion, this we are very excited about. 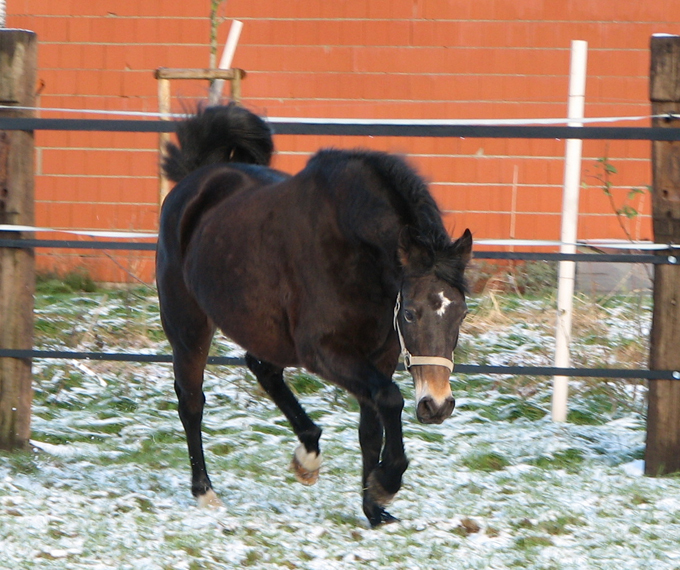 He has already been through the BEF Futurity scheme in 2009 gaining a high first premium, and 4th place overall at the Arena UK Venue of the BEF. 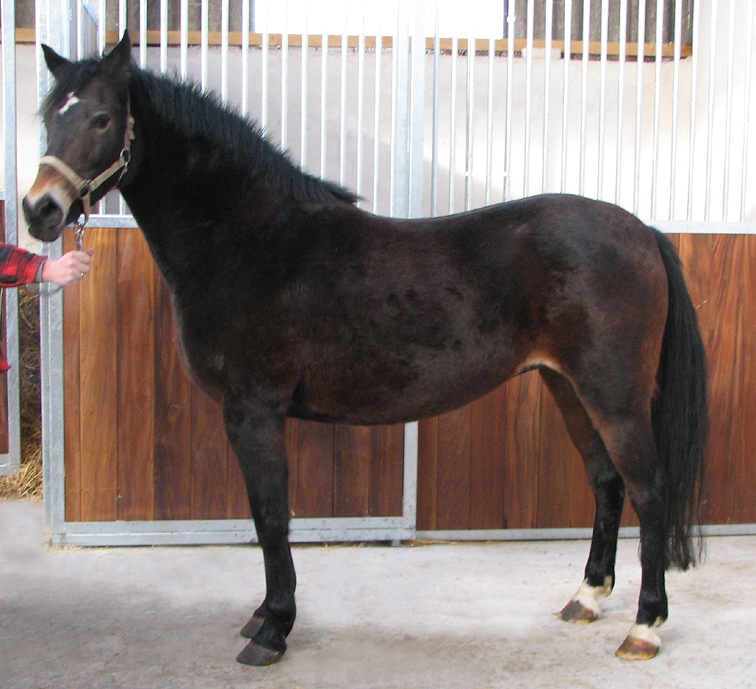 We have presented Mona at the SPSS Annual Show in 2008 & 2009, her temperament scores have been superb gaining a 10 and a 9.5 for General Impression On the Day with comments such as a lovely feminine type mare. 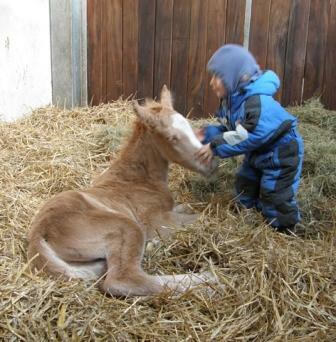 Mona has a filly foal at foot by Joldis Charmont who is by the well known Champion De Luxe, she was born on the 9th April 2008 at 11.15pm. Sabine has named her Goldie, we have renamed her "Irene". 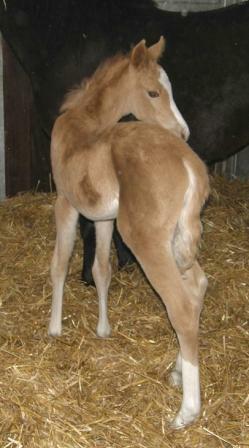 This is a list of the foals she has from the Verband.